I have a 1.5 hp blower in a wood working shop-- used to carry saw dust from multi saws to a dust collector. The major noise is from the blower and not from saw dust travel. Is the room noise from the discharge of air throught the filter ? or is it directly from the blade spinning motor? I think its the blades making the noise. Do I build sound limiting box over the blower or? The answer to both these questions is to cover with a box, thereby reducing the direct sound path to ones ears! 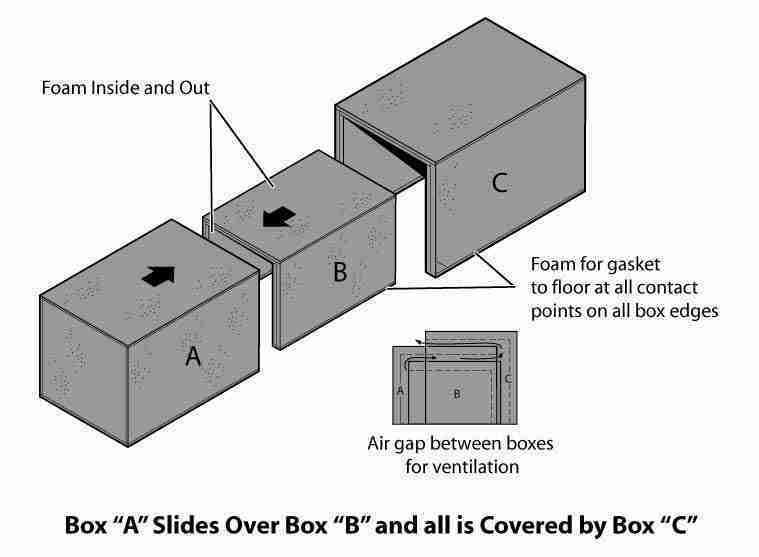 See ftp:// http://soundproofing.org/infopages/generator.htmFor details of how to make the box and what materials are needed.